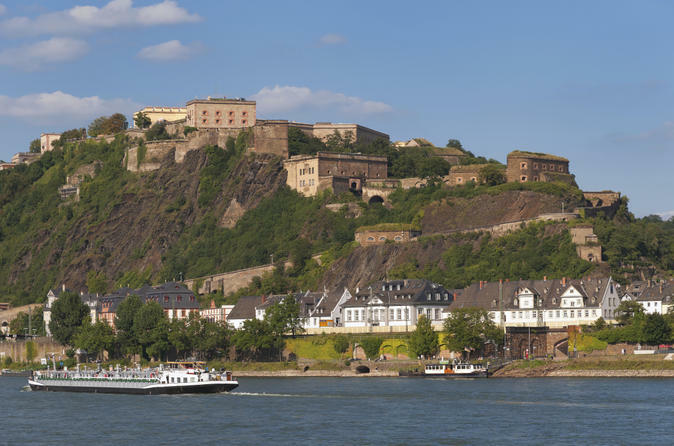 Ride in the Koblenz cable car, visit Ehrenbreitstein Fortress and enjoy a River Rhine cruise – all in one day! 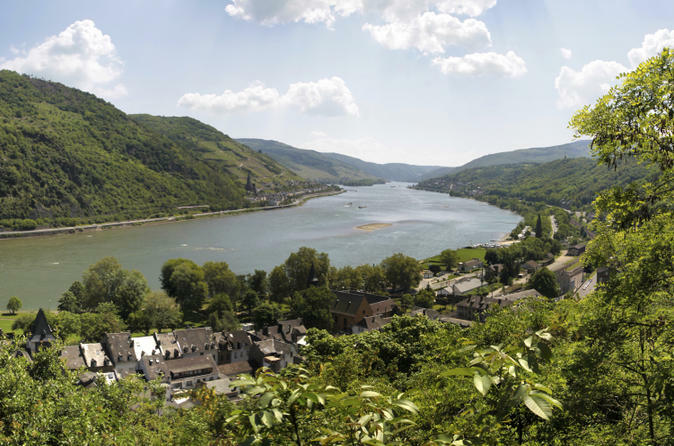 Take a cable car ride to the fortress either before or after your cruise, and then see the sights of the UNESCO-listed Rhine Gorge as you cruise from Koblenz to Boppard. Spend time at leisure in the pretty Rhine Valley town, and return to Koblenz at a time that suits you. 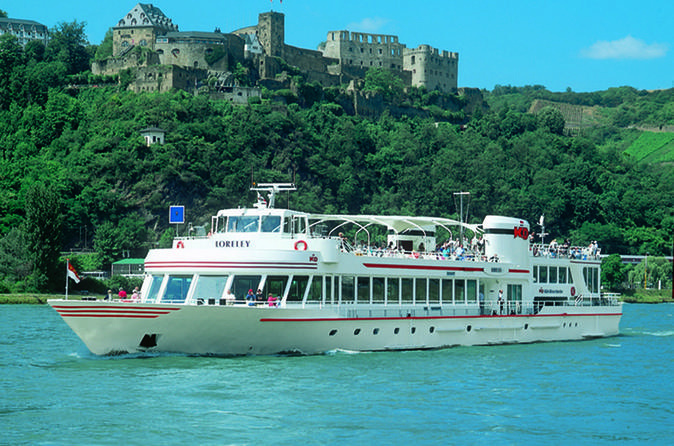 Glide along the Rhine River on a round-trip cruise from Koblenz to St Goare that passes Loreley Rock, plus visit Ehrenbreitstein Fortress, too! 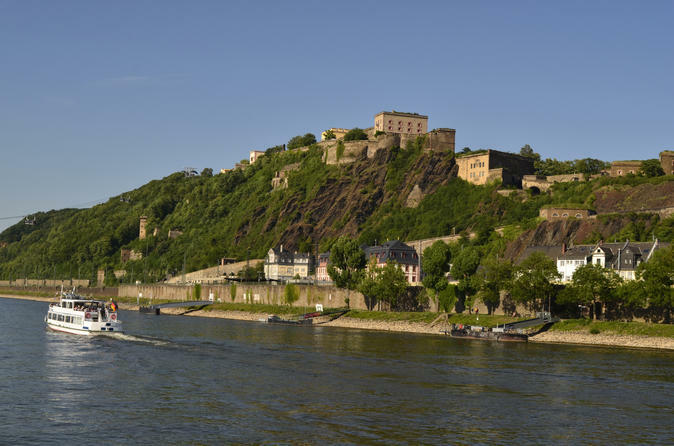 Ride the Koblenz cable car to the fortress before or after your cruise, and then soak up the sights of the Rhine Gorge, a UNESCO World Heritage Site, as you meander down the river, passing vineyards, fairytale castles and the imposing Loreley Rock. Spend time at leisure in the quaint village of St Goare before returning to Koblenz. 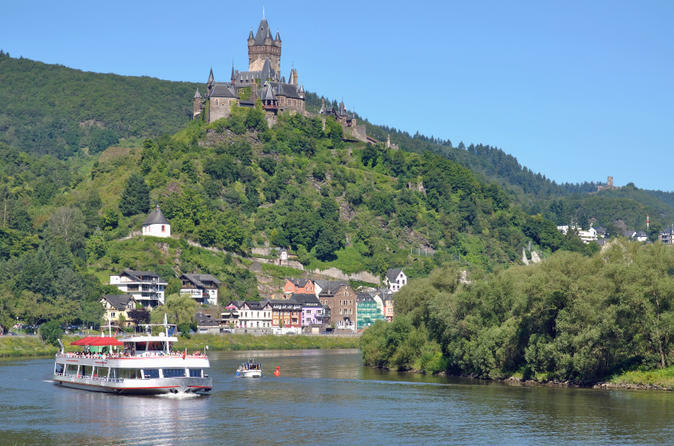 Explore the Rhine and Moselle River on a round-trip sightseeing cruise from Koblenz to Cochem, Germany. Admire fairy-tale castles including Burg Eltz and Reichsburg Cochem and lovely vineyards while listening to audio commentary. Your 1-day pass to this scenic and informative cruise is a convenient way to get around and discover the captivating Rhine Valley independently. 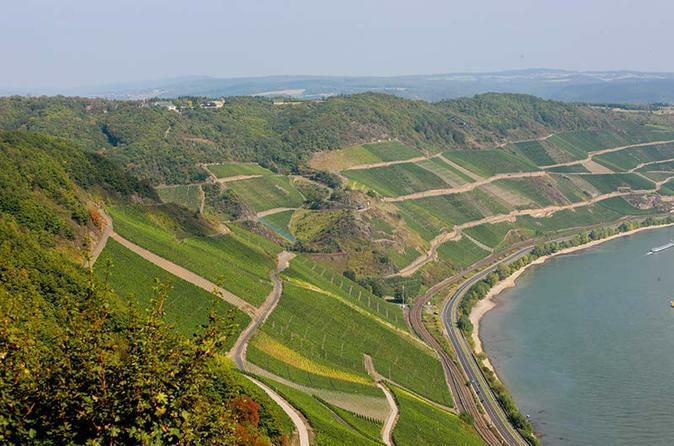 Sample four different Ice-wines and two Late Harvest or Auslese wines from the Rhine valley. This is the rare opportunity to taste six wines of the highest German quality levels. Directly compare different years and different grape varieties of Ice-wine. Learn about the process of Ice-wine production from "grape to bottle". Tastings take place at Vineum right at the centre of Boppard. Situated just 100 meters from the Rhine.